The absolute best place to find Polaroid cameras like the Sun 600 for cheap (besides your parents’ attic) is through eBay. Please use the following link when purchasing, it helps me keep writing and costs you nothing. Thanks! 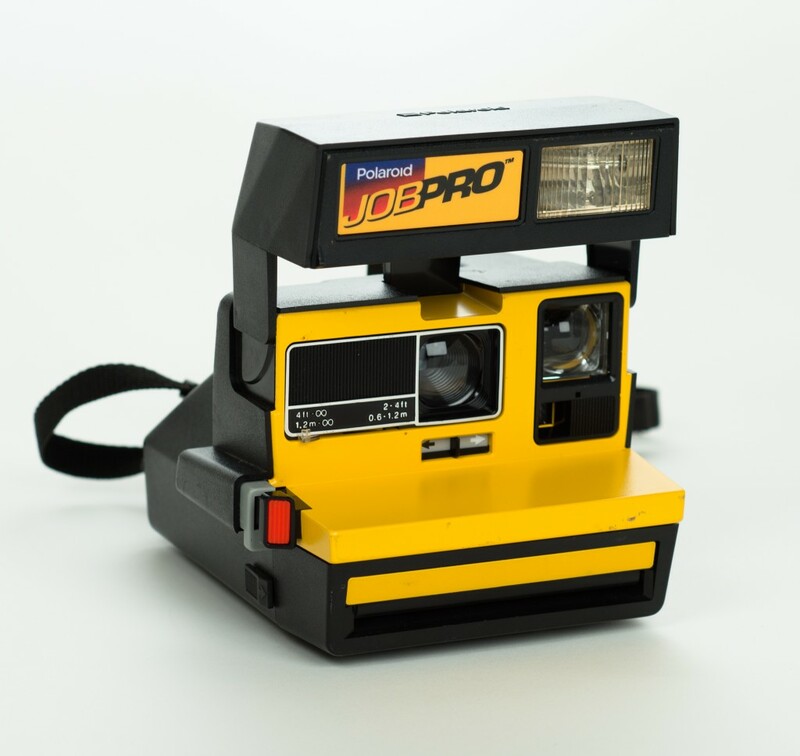 Find the Polaroid Job Pro 600 camera on eBay! The Job Pro is fixed focus, so I would pass on it and go for a camera like the Polaroid Impulse AF. However, compared to other fixed focus cameras like the Polaroid OneStep Closeup it holds up just fine. The Job Pro has a fixed focus lens, so there’s no sonar autofocus here. Fixed lenses have never caused me much trouble, but just make sure you don’t try to take a picture of something closer than four feet or it’ll be a blurry mess. Forget the switch to the macro range, all it does it put a lousy plastic piece in front of the lens that creates photos so soft they might as well not be in focus at all. 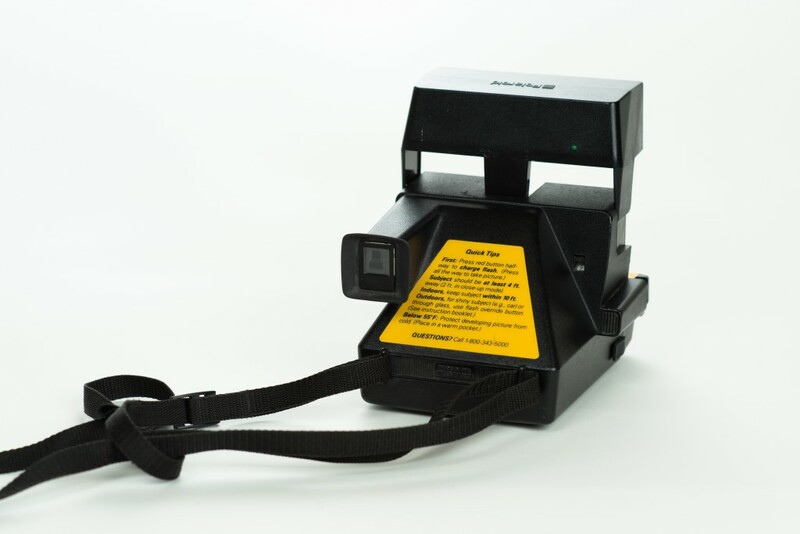 Functionally, the Job Pro is very similar to the Polaroid OneStep Closeup, right down to the plastic macro ‘lens.’ Open the front to get the party started and press the shutter on the side to take a photo. The main difference I found on this camera was that the flash doesn’t start to charge when you open the camera up, instead you have to press the shutter halfway down. This caught me off guard when I first used it as the camera won’t fire at all until the flash is fully charged. I’m imagining this is a small advantage in that you won’t run the film pack’s battery down just by opening the camera up and not taking a picture. If you want to take a photo without flash, press down on the gray shutter. Be warned, the alternate shutter is lousy in regards to proper exposure, often creating blurry messes out of photos. The better option is to just put a piece of dark tape over the flash if you don’t want to use it. Exposure controls are the same as most cameras, with a dark to light lever in the front. The model I got was particularly abused, and the rollers were so dirty it made the camera almost unusable. Many of these cameras were used in industrial settings, so make sure to clean it out when you first get it since it’ll often be dusty. Generally, the camera is pretty durable, with a screen in front of the viewfinder and a folding design that protects the lens elements. The hard plastic and 80’s style design definitely doesn’t make for a pretty camera, but it’ll get the job done. As I mentioned before, there’s a solid plastic sticker on the back of the camera with some ‘quick tips,’ which can be helpful to those new to the Polaroid world. 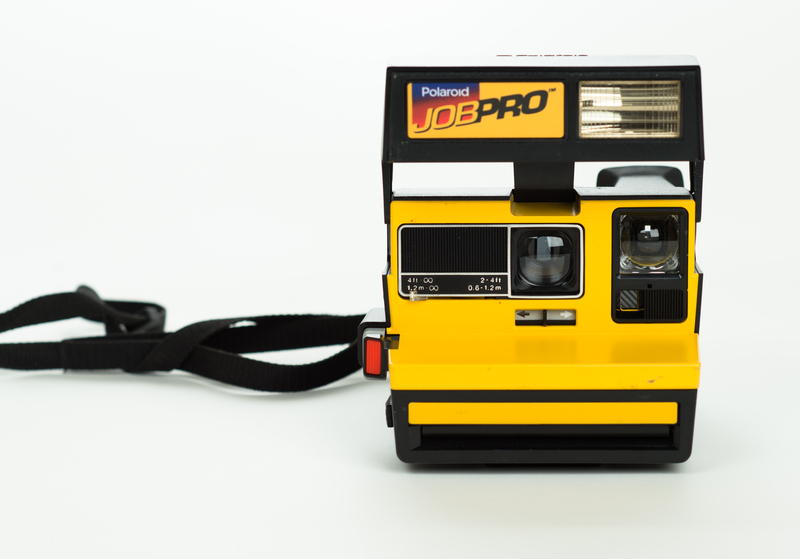 The Job Pro is a durable, solid little camera. There’s nothing putting it above the pack, but it’ll take photos with a minimum of fuss. Personally, I would hold out for a 600 camera with sonar autofocus, since fixed lens cameras don’t do well with anything remotely macro. However, if you can find one for cheap on eBay or stumble across one in the wild, there’s no reason not to pick it up. 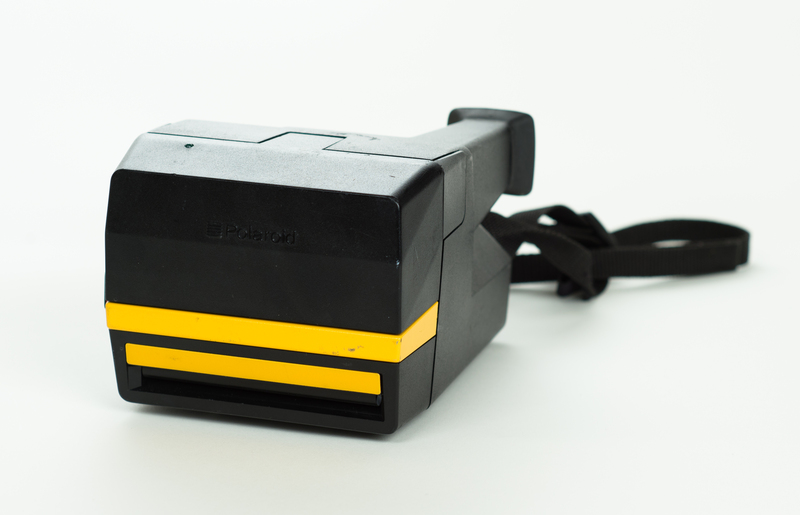 If you’re using Impossible Project films with this camera, be sure to attach a dark slide to the front or use a frog tongue adapter to shield the images when they pop out. 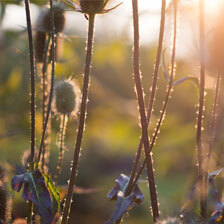 The first few seconds are the most crucial in order to get the best images possible.